For Rachel and Jordan, the mantra is true — absence makes the heart grow fonder. And for any of you who were wondering if a real life Noah Calhoun from that beloved tear-jerker The Notebook actually exists, he does. Separated from each other during the summer of 2014, Jordan wrote Rachel a love letter for every day she was away in Bolivia for two and a half weeks. Does it get any more swoon-worthy than that? 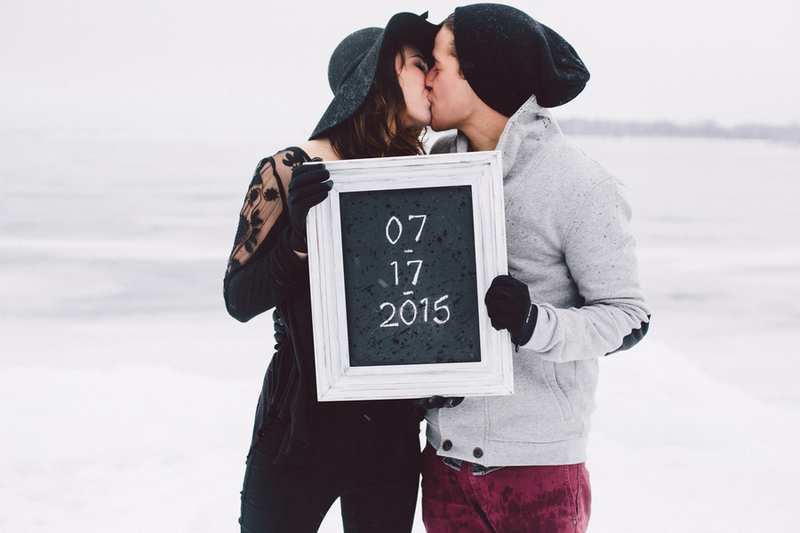 Taylor Clark Photography beautifully captured this couple’s unfaltering love in a gorgeous winter woodland setting for their engagement session.